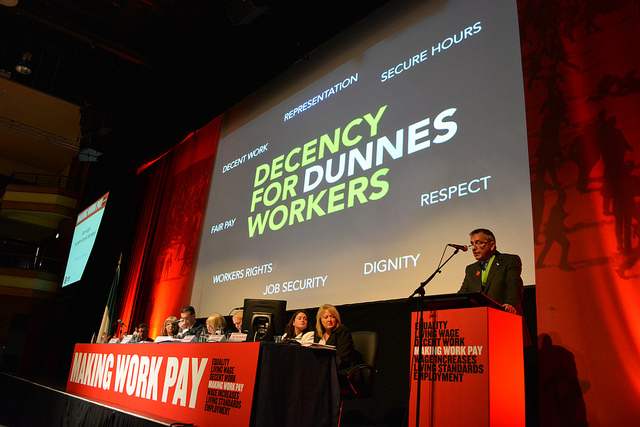 As part of its “Decency for Dunnes Workers” campaign Mandate Trade Union has today (Friday, 23 May 2014) written directly to Dunnes Stores owners Margaret Heffernan and Frank Dunne seeking their intervention after the company’s management team refused to respond to a letter from the workers’ union. The right to trade union representation. Mr Light added, “Ignoring the issues in this way will not make them go away, rather it will strengthen the resolve of our members working in Dunnes to have them dealt with. Mr Light said workers in Dunnes’ major competitors had access to full trade union representation and all that Dunnes workers want is for that same right to be applied to them.